The movie Stone of Destiny is set during the 1950s. Ian is part of a Scottish Nationalist group that is looking to end the troubles between Scotland and England. He is looking forward to a time when Scotland can have its own identity. The British Parliament rejected Scotland to be a separate nation and Ian decides to take action. Alone with his friend Bill they set up a plan to bring the Stone of Scone back to Scotland from England. The men research the Westminster building where the stone is being kept. Bill ends up backing out of the plan. Ian decides to do it himself. He is referred to a woman named Kay for help. He also meets up with a man named Gavin and another named Alan for additional help. The group decides to make an attempt to steal the stone on Christmas Eve. 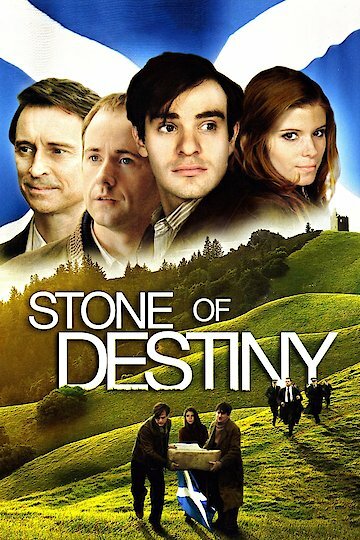 Stone of Destiny is currently available to watch free on Tubi TV and stream, download, buy on demand at Amazon Prime, Amazon, Google Play, iTunes, YouTube VOD online.